Alan Pardew is excited by the potential of Argentinian striker Facundo Ferreyra, who has joined Newcastle United on a season-long loan from Shakhtar Donetsk. 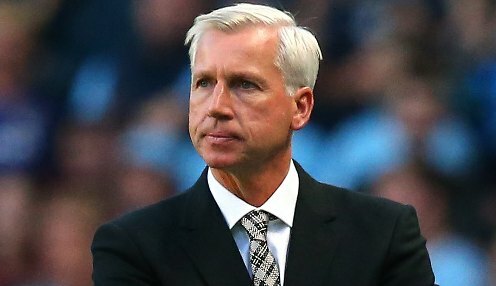 The 23-year-old arrives on Tyneside with an option to buy, with manager Pardew hoping that Ferreyra will prove to be a valuable addition to his Magpies squad. He has tremendous potential and hopefully he can realise that here at Newcastle United. Ferreyra started his career with Banfield, before moving on to Velez Sarsfield, who he helped to the 2012/13 Torneo Inicial. In the summer of 2013 to opted to move to Ukraine to join Shakhtar and, after taking time to settle in, scored six goals in 13 games to help the Donetsk club win the Ukrainian title for a fifth straight year. And Ferreyra's character, as well as his play is well-known to Newcastle, with Pardew telling the club's official website: "Facundo is someone we know on a number of levels, including his friendship with Fabricio Coloccini and we think he could be a big success here at Newcastle. "This is a player who has played at the top level and is highly regarded in Argentina. Last season Newcastle finished in tenth place in the Premier League, netting 43 goals in 38 games, with loan striker Loic Remy their top scorer with 14 in 26 appearances. The Magpies are 1/1 to earn a top-four finish next season, with Everton 1/1 and Tottenham Hotspur 1/1.